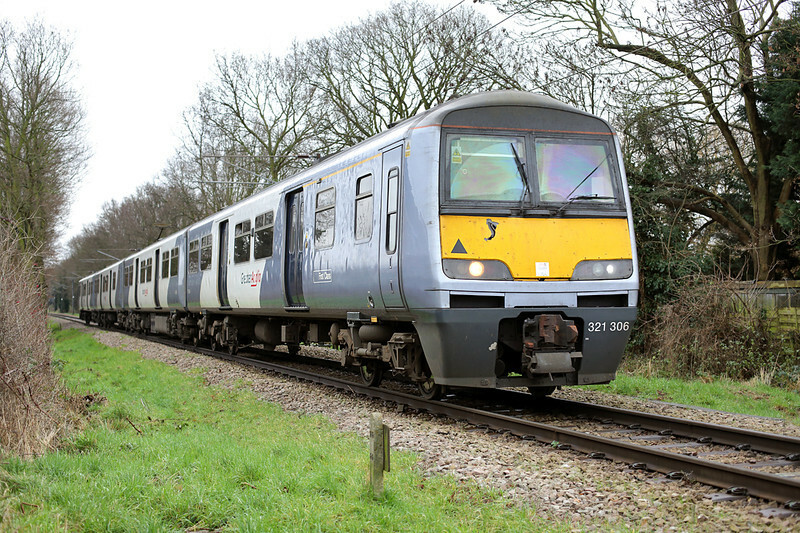 Welcome to the first Railwaymedia blog of 2014. As I predicted before Christmas it is well into January before I've been able to sit down to write it. The first few weeks of the New Year were taken up working but a week off afterwards enabled a few jaunts out with the camera. The first two days out were actually work related in that I had time to get a few shots in the areas I ended up. The first of which was Manchester. 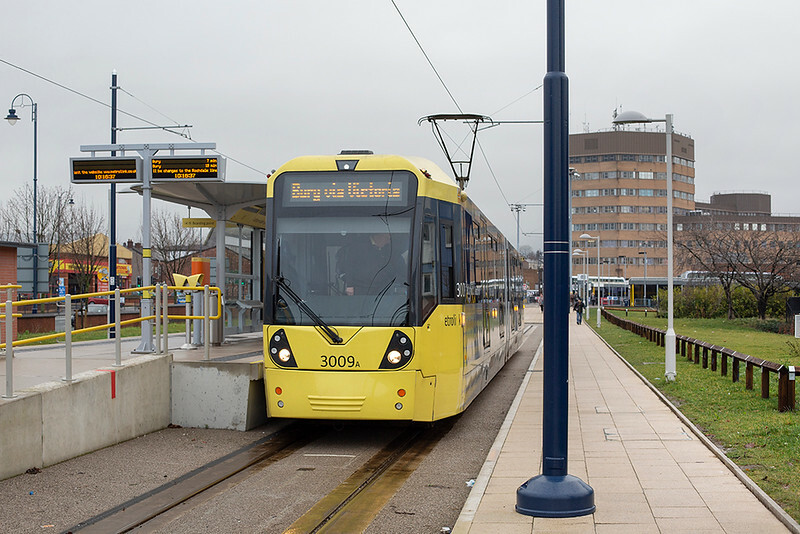 The prize for the first picture taken in 2014 goes to Metrolink's Bombardier tram number 3009 at the new Ashton-under-Lyne terminus. Ashton was one of the two recent line extensions I hadn't previously covered, the section east of Droylesden opening on the 9th October last year. There are 4 stops on the route, the line following a dual carriageway for the most part serving little except a couple of designated 'Park and Ride' sites. A 20 minute bus journey from Ashton took me to Oldham. The other new section I hadn't done was between Shaw and Rochdale Railway Station. This has actually been open now for 11 months though two additional bits will open this year, between Rochdale Station and the town centre and also the new loop through Oldham's centre. Three trams were in use testing this bit when I visited. There is a detailed map showing the new route through Oldham HERE. 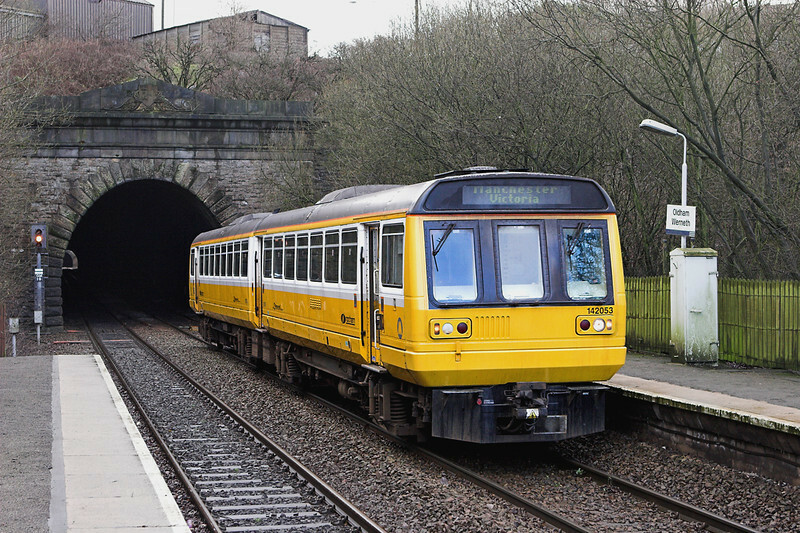 It will replace the course of the old British Rail route between Werneth and Oldham through Werneth and Central tunnels which will presumably get blocked off once the track and overhead equipment is removed. The following day I had a few hours spare in Birmingham so made my way along the Cross-City line to Northfield to the south of the city. Located on the main line towards Worcester and Bristol in addition to the 6 stopping trains an hour operated by London Midland's class 323 units there are also regular long distance services to Bristol, Cardiff and Hereford passing through. 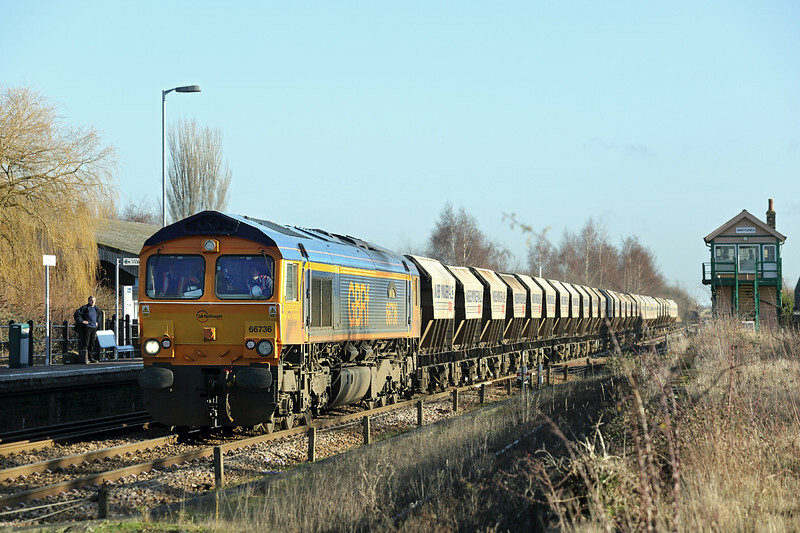 There is also quite a bit of freight at certain times of the day and I was lucky to get 4 in just over an hour. Most will run on the fast lines (pictured below) but they can run on the slow line, depending on traffic levels, which isn't quite as good for photography. As always Real Time Trains was invaluable. Moving on to my full week off work, I made three trips out, on alternative days, as always in search of both photographs and beer. The first was intended to be to Newcastle; I really need to get some more pictures in that area and especially of the Metro, but the combination of a derailed freight train at Penrith and the weather forecast steered me to East Anglia instead. The Wetherspoons pub chain, for so long the preserve of large towns only, is increasingly expanding to smaller places and Whittlesey about 5 miles from Peterborough is one of those. The local station (with the different spelling of Whittlesea) only has a two hourly service so a 10am arrival gave me plenty of time for an early-doors pint and also time for some railway photography. There is still semaphore signalling here, and as can be seen a signal box. 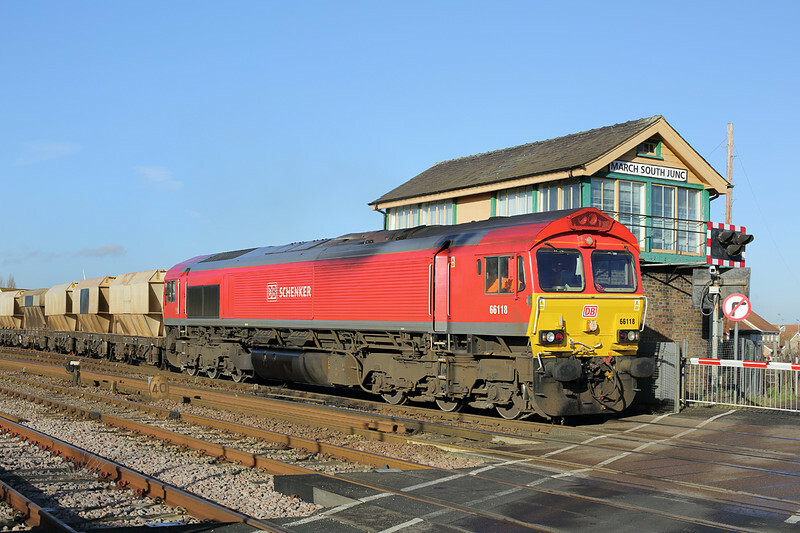 Being on quite a busy cross-country freight route, the large yard at Whitemoor near March being about 10 miles east, it is worth a visit. Be warned though that the level crossing at the station is hand operated by a crossing keeper who has to get permission from the signalman to open them. I very nearly missed my train as the freight pictured above took so long to come the gates remained closed for the approach of the train I wanted. 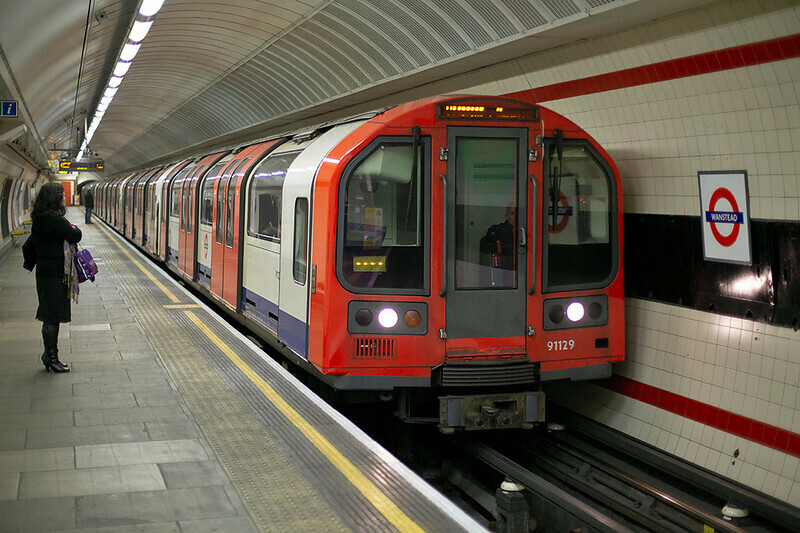 The platforms are also staggered so it is a long run to the eastbound platform! March was my next destination. Again the town still has signal boxes for now, two in fact are still in operation, although there are only a few shunting signals that remain as semaphores. Again this small town has a Wetherspoons so another two hours brought another beer and a few more pictures. 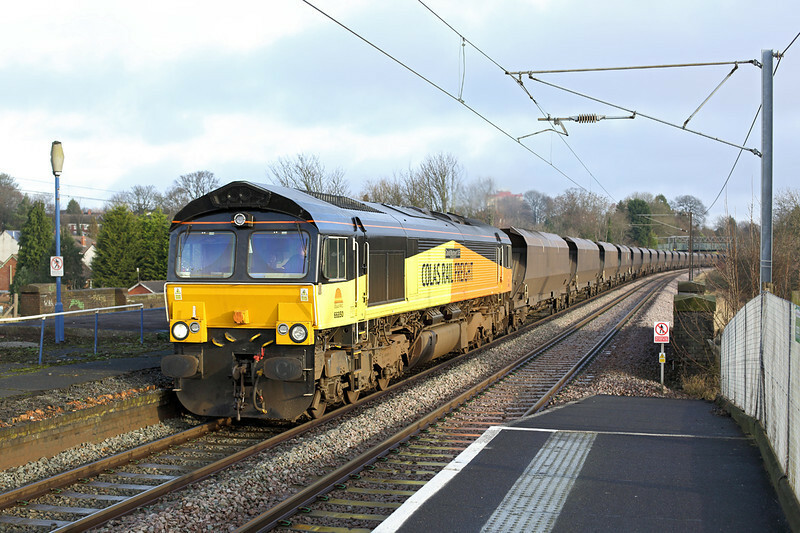 This freight I got to photograph twice, once at the station and once here after being looped. Despite the lovely winter light the sun of course starts dropping fast before 1500 so the rest of the day was spent making my way round the remaining Wetherspoons I needed in the area. 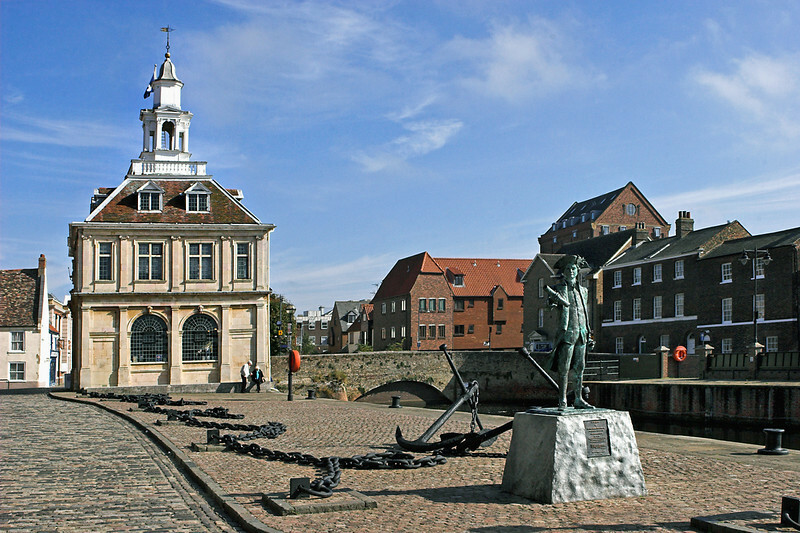 A bus ride was needed to get to Wisbech and then onward to Kings Lynn. 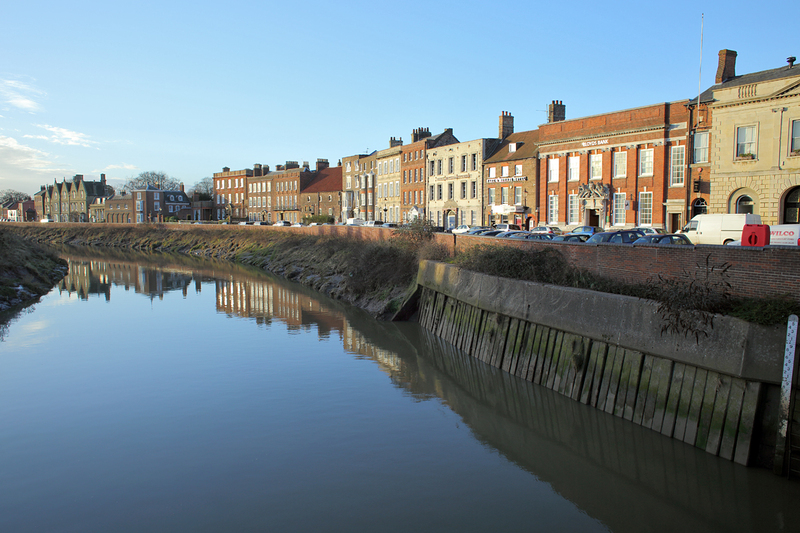 This was my second visit to this lovely Fenland town, the area around the station and bus station is pretty unremarkable but the Old Town near the River Great Ouse has some really beautiful buildings. I called into Cambridge on the way back to London. I'm fairly sure this was my first ever visit to the centre of the City and three observations stand out when comparing it to Oxford. First being Oxford is much nicer, the second that Cambridge Station makes Oxford's look positively central and thirdly that all cyclists in Cambridge should be shot. They get everywhere! After a day on Tuesday to recover (I'm getting old!) and to process the previous day's pictures, Wednesday saw me heading south once again for a day in London. I'd arranged to meet up with some friends for a few beers after they finished work so that decided the general destination. On the train down to Euston I worked out my itiniary, again based around Wetherspoons, and this took me east towards Romford via the Docklands, returning along the District and Central lines to Leyton. I've said it before, but chasing round Wetherspoons pubs sometimes distracts me from the Railway photography side of a day out but also can guide me to areas I wouldn't otherwise have been. 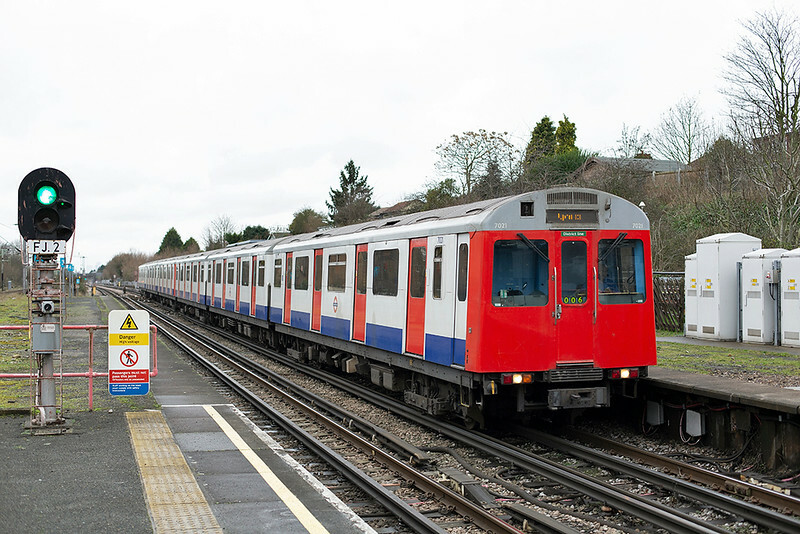 Whittlesea and March were good examples earlier in the week, Emerson Park on the Romford to Upminster line is another, although maybe not in quite the same league! There is a quiet foot crossing to the west of the line's only intermediate station. Alas there is usually little other than the lines single unit going backwards and forwards every 30 minutes past it, but it is worth knowing about. 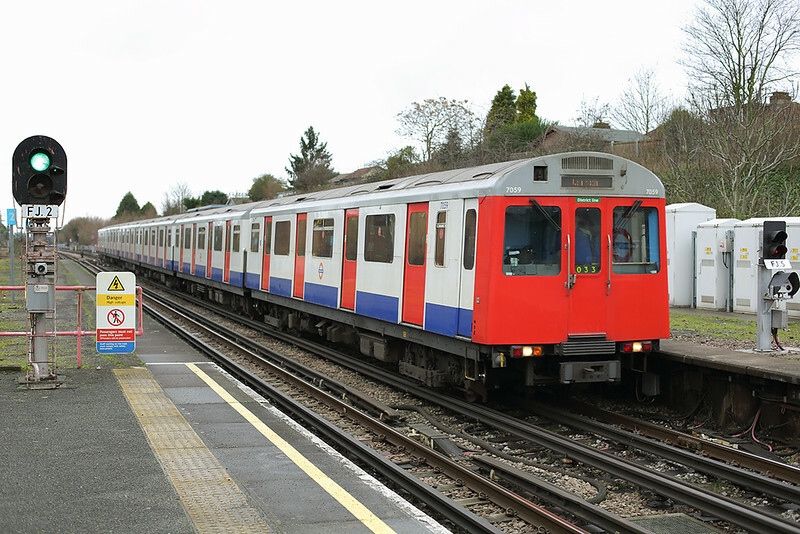 The London Underground's D Stock on the District Line eneterd service in 1980 and is now the second oldest in service on the network after the Hammersmith & City and Circle line's C Stock, both of which are due to be replaced over the next 2 years by new units, indeed the C Stock is already quickly being replaced with the new Bombardier built S7 and S8 trains. The weather was starting to get dreadful by the time I was heading back towards Central London so the intention again as it was getting dark was to move from photography to beer drinking, however ending up after dark at the relatively quiet Central line station of Wanstead I did have time for a bit of tube train photography using the good low light capabilities of the Canon 5D. Friday was another day where I was in several minds where to go. I discounted Newcastle as I didn't fancy running the risk of a train load of drunken teenagers that potenetially I might have faced returning on a Friday evening between Newcastle and Carlisle. Edinburgh had been a consideration the previous week as a place to end up. 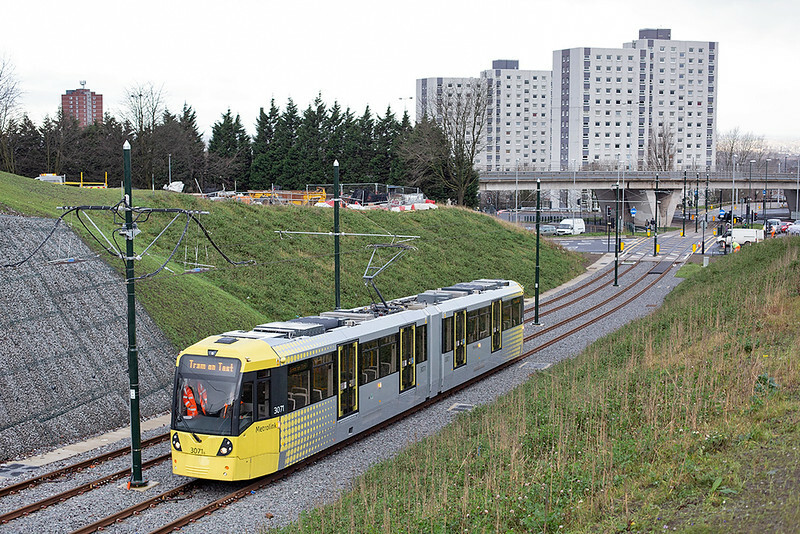 With testing finally starting on the long-delayed new Tram project I had been following them on Twitter to see what testing, if any, could be expected. Night-time testing has been taking place all the way through to the terminus in Edinburgh itself, including along Princess Street, however the previous week little else had been mentioned. 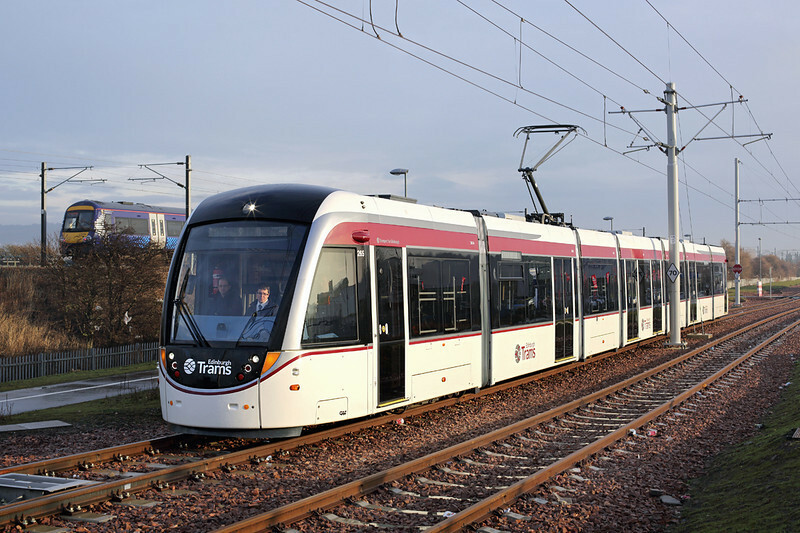 I took a chance and went up to Edinburgh Park station where there is an interchange between National Rail and the trams. I was pleased to see a tram standing there as I arrived on the train, in fact the driver was out of the vehicle operating the points to bring the tram back across onto the westbound track. I even got a picture of it in the only 2 minutes of sunshine I saw all day. 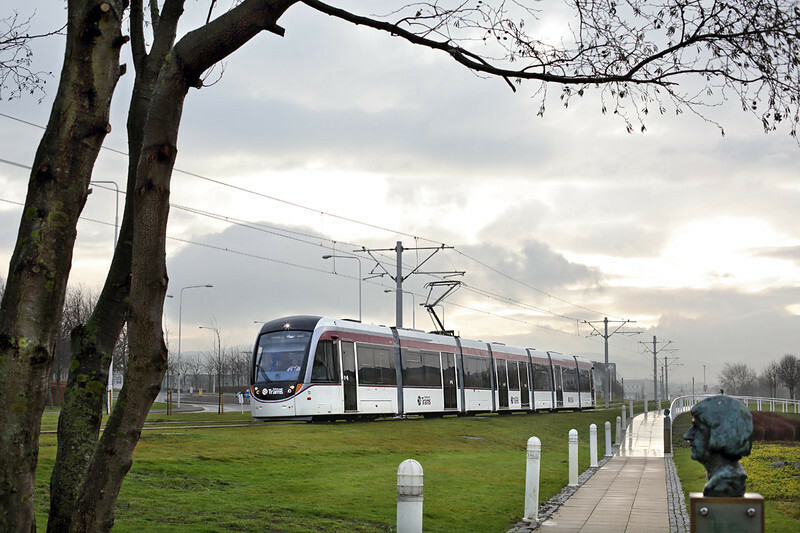 There turned out to be two trams out undertaking testing and driver training between the depot at Gogarburn and Edinburgh Park, a distance of 2 miles at the most. They both disappeared about 1130, presumably for an early dinner break, however it was good to get to see them actually in operation, something a good many Edinburgh residents I know have yet to witness! With three weeks of night turns to look forward to (and I DO look forward to them), I'm unlikely to get out and about for a few weeks again now, however it does give me time to keep going with the re-processing of my website's images. I'm over halfway through doing my EMU pictures now, which is the final section I need to do and re-caption. Once those are complete it is simply a case of checking this blog for any missing pictures and similarly with my Archive of Trips where the galleries need refreshing once the pictures have been reloaded. Once that's all done I can look at getting out and dusting down my scanner with a view to scanning in my older railway and bus pictures. Thanks as always for taking the time to read, I hope some of my talk about where I've been might be of use to someone in planning a trip themselves. One place I don't particularly recommend visiting is Livingston. 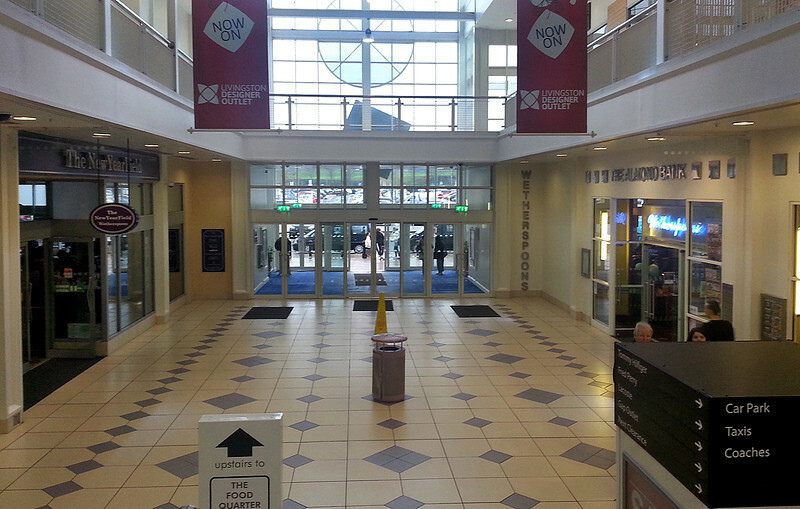 The shopping centre is about the only redeeming feature of the place (which of course isn't saying much). It contains the two closest branches of Wetherspoons I have as yet come across, the NewYearField on the left and the Almond Bank on the right. Both were very busy too as there is probably little else to do in the area! Bye for now.